Training camp: Stars of the future. Star players of the National School League (NSL) were left in awe as they got a first-hand look on what it takes to become a professional footballer in their unforgettable International Training Camp in France and Turkey. 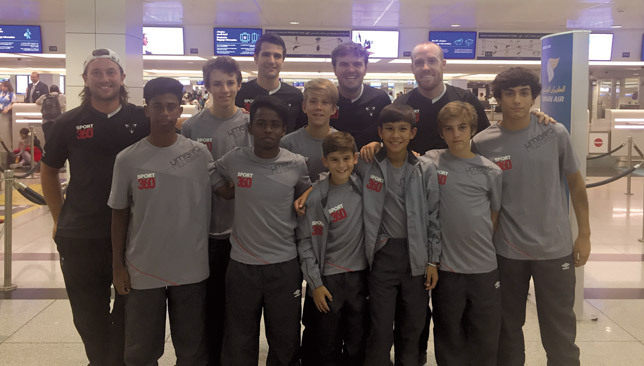 Eight budding footballers, who were specially selected after impressing in this season’s Sport360-organised competition, arrived back in the early hours of Monday from an inspiring seven-day trip in Rennes and Istanbul. Designed to enhance their knowledge and skills on the field and step outside their comfort zones, the camp provided a fascinating insight on the challenges that come with international training. Having flown straight to Turkey, the boys were put through their paces in an intense training session at Galatasaray’s Academy at Florya Metin Oktay Tesisleri, before an organised tour of Istanbul by Turkish Airlines. The players then travelled more than 3,000km to Rennes where they had an exclusive tour of Stade Rennais’ 29,000-seater home stadium Roazhon Park and their training facilities. The trip also saw them get an understanding on how the club’s youngsters train on a daily basis by staying three nights at the Ligue 1 club’s boarding academy, including training sessions for two days. Prior to their departure from Rennes, the group were also fortunate to watch a Ligue 1 match live in the 1-1 draw between Lorient and Angers at Stade du Moustoir. Tony Paul of Our Own Indian School echoed Aubrey’s view. “It was great to get a first-hand experience on how professional football in Europe works,” he said. Landry Chauvin, academy director of Stade Rennais was impressed with what he saw. “It was fantastic to have the top eight players from the NSL come train and stay with our youth players in the academy,” he said. The kids with Sport360 staff. With the popularity of the Emirates Islamic National School League Football only intensifying following the second season of competition, a select group of star players have been chosen to attend an NSL International Training Camp in Turkey and France this week. A total of eight players who shone during the second edition of the Sport360-organised tournament, flew out from the UAE in the early hours of this morning for a seven-day trip to Istanbul and Rennes that will include training sessions with Galatasaray and Stade Rennais. The trip will offer children the chance to step outside their comfort zones, challenge them both mentally and physically, as well has having a lot of fun. They will have the opportunity to learn to work together in teams, take on new and different challenges that come with international football training, and experience life away from their families. The trip will see the boys arrive back in the UAE on Monday, May 8. Their itinerary while in Turkey includes a three-day stay at the Vialand Palace Hotel in Istanbul as well as two training sessions with Galatasaray’s Academy at Florya Metin Oktay Tesisleri and an organised tour with Turkish Airlines around the city. 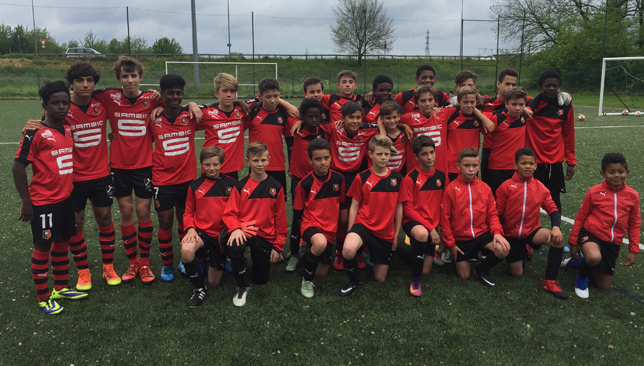 From there the talented youngsters will travel to France and stay at Stade Rennais’ Academies Boarding School from May 4-7 with another two training sessions with Stade Rennais. “The NSL is a unique and powerful platform to showcase and reward the ambitions and achievements of school sports in the UAE,” said Matt Burn, sports events manager for Sport360. Which goal do you think should be voted number 1 for the best goal of the season in the Emirates Islamic National School League?